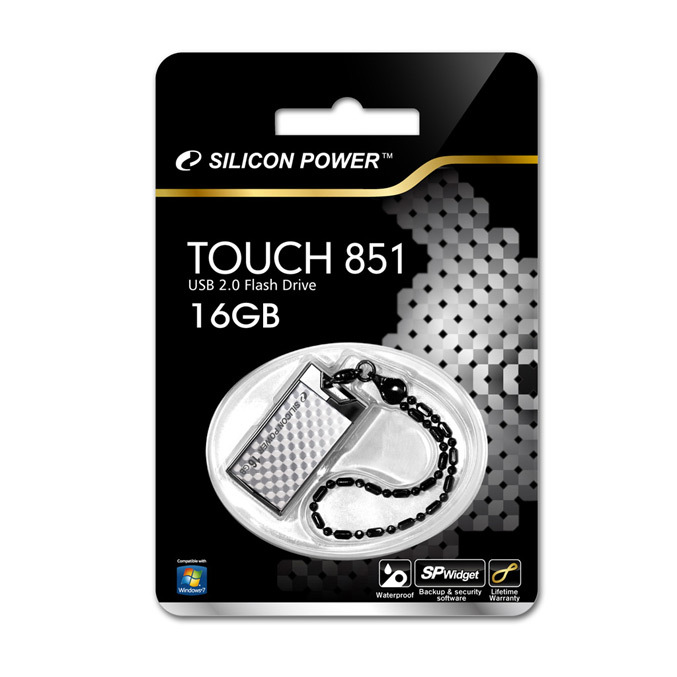 Silicon Power today announces the latest addition to their Touch series USB flash drives- Touch 851 Crystal Disk. Made from zinc alloy, has a rugged sliding design and is available in gold or silver and coated with shinny checkered like/ diamond cut design. Silicon Power’s Touch 851 Crystal Disk comes iin 2, 4, 8 and 16GB capacities,it is waterproof, dustproof, shock and vibration proof also comes with a necklace, utilizing COB (Chip On Board) packaging technology, compliance with strict RoHS standards and comes with Lifetime warranty.